This article is about unexplained or non-natural forces and phenomena. For the 2005 US drama series, see Supernatural (U.S. TV series). For other uses, see Supernatural (disambiguation). "Supernatural power" redirects here. For the popular culture concept of the imaginary superhuman abilities, see Superpower (ability). The concept of the supernatural encompasses anything that is inexplicable by scientific understanding of the laws of nature but nevertheless argued by believers to exist. Examples include immaterial beings such as angels, gods and spirits, and claimed human abilities like magic, telekinesis and extrasensory perception. Historically, supernatural entities have been invoked to explain phenomena as diverse as lightning, seasons and the human senses. Naturalists maintain that nothing beyond the physical world exists and hence maintain skeptical attitudes towards supernatural concepts. The supernatural is featured in paranormal, occult and religious contexts, but can also feature as an explanation in more secular contexts. Occurring as both an adjective and a noun, descendants of the modern English compound supernatural enters the language from two sources: via Middle French (supernaturel) and directly from the Middle French's term's ancestor, post-Classical Latin (supernaturalis). Post-classical Latin supernaturalis first occurs in the 6th century, composed of the Latin prefix super- and nātūrālis (see nature). The earliest known appearance of the word in the English language occurs in a Middle English translation of Catherine of Siena's Dialogue (orcherd of Syon, around 1425; Þei haue not þanne þe supernaturel lyȝt ne þe liȝt of kunnynge, bycause þei vndirstoden it not). The semantic value of the term has shifted over the history of its use. Originally the term referred exclusively to Christian understandings of the world. For example, as an adjective, the term can mean 'belonging to a realm or system that transcends nature, as that of divine, magical, or ghostly beings; attributed to or thought to reveal some force beyond scientific understanding or the laws of nature; occult, paranormal' or 'more than what is natural or ordinary; unnaturally or extraordinarily great; abnormal, extraordinary'. Obsolete uses include 'of, relating to, or dealing with metaphysics'. As a noun, the term can mean 'a supernatural being', with a particularly strong history of employment in relation to entities from the mythologies of the indigenous peoples of the Americas. The metaphysical considerations of the existence of the supernatural can be difficult to approach as an exercise in philosophy or theology because any dependencies on its antithesis, the natural, will ultimately have to be inverted or rejected. One complicating factor is that there is disagreement about the definition of "natural" and the limits of naturalism. Concepts in the supernatural domain are closely related to concepts in religious spirituality and occultism or spiritualism. For sometimes we use the word nature for that Author of nature whom the schoolmen, harshly enough, call natura naturans, as when it is said that nature hath made man partly corporeal and partly immaterial. Sometimes we mean by the nature of a thing the essence, or that which the schoolmen scruple not to call the quiddity of a thing, namely, the attribute or attributes on whose score it is what it is, whether the thing be corporeal or not, as when we attempt to define the nature of an angle, or of a triangle, or of a fluid body, as such. Sometimes we take nature for an internal principle of motion, as when we say that a stone let fall in the air is by nature carried towards the centre of the earth, and, on the contrary, that fire or flame does naturally move upwards toward firmament. Sometimes we understand by nature the established course of things, as when we say that nature makes the night succeed the day, nature hath made respiration necessary to the life of men. Sometimes we take nature for an aggregate of powers belonging to a body, especially a living one, as when physicians say that nature is strong or weak or spent, or that in such or such diseases nature left to herself will do the cure. Sometimes we take nature for the universe, or system of the corporeal works of God, as when it is said of a phoenix, or a chimera, that there is no such thing in nature, i.e. in the world. And sometimes too, and that most commonly, we would express by nature a semi-deity or other strange kind of being, such as this discourse examines the notion of. And besides these more absolute acceptions, if I may so call them, of the word nature, it has divers others (more relative), as nature is wont to be set or in opposition or contradistinction to other things, as when we say of a stone when it falls downwards that it does it by a natural motion, but that if it be thrown upwards its motion that way is violent. So chemists distinguish vitriol into natural and fictitious, or made by art, i.e. by the intervention of human power or skill; so it is said that water, kept suspended in a sucking pump, is not in its natural place, as that is which is stagnant in the well. We say also that wicked men are still in the state of nature, but the regenerate in a state of grace; that cures wrought by medicines are natural operations; but the miraculous ones wrought by Christ and his apostles were supernatural. The term "supernatural" is often used interchangeably with paranormal or preternatural — the latter typically limited to an adjective for describing abilities which appear to exceed what is possible within the boundaries of the laws of physics. Epistemologically, the relationship between the supernatural and the natural is indistinct in terms of natural phenomena that, ex hypothesi, violate the laws of nature, in so far as such laws are realistically accountable. Parapsychologists use the term psi to refer to an assumed unitary force underlying the phenomena they study. Psi is defined in the Journal of Parapsychology as "personal factors or processes in nature which transcend accepted laws" (1948: 311) and "which are non-physical in nature" (1962:310), and it is used to cover both extrasensory perception (ESP), an "awareness of or response to an external event or influence not apprehended by sensory means" (1962:309) or inferred from sensory knowledge, and psychokinesis (PK), "the direct influence exerted on a physical system by a subject without any known intermediate energy or instrumentation" (1945:305). Many supporters of supernatural explanations believe that past, present, and future complexities and mysteries of the universe cannot be explained solely by naturalistic means and argue that it is reasonable to assume that a non-natural entity or entities resolve the unexplained. indistinct from nature. From this perspective, some events occur according to the laws of nature, and others occur according to a separate set of principles external to known nature. For example, in Scholasticism, it was believed that God was capable of performing any miracle so long as it didn't lead to a logical contradiction. Some religions posit immanent deities, however, and do not have a tradition analogous to the supernatural; some believe that everything anyone experiences occurs by the will (occasionalism), in the mind (neoplatonism), or as a part (nondualism) of a more fundamental divine reality (platonism). incorrect human attribution. In this view all events have natural and only natural causes. They believe that human beings ascribe supernatural attributes to purely natural events, such as lightning, rainbows, floods, and the origin of life. Dialogues from Neoplatonic philosophy in the third century AD contributed the development of the concept the supernatural via Christian theology in later centuries. The term nature had existed since antiquity with Latin authors like Augustine using the word and its cognates at least 600 times in City of God. In the medieval period, "nature" had ten different meanings and "natural" had eleven different meanings. Peter Lombard, a medieval scholastic in the 12th century, asked about causes that are beyond nature, in that how there could be causes that were God's alone. He used the term praeter naturam in his writings. In the scholastic period, Thomas Aquinas classified miracles into three categories: "above nature", "beyond nature", and "against nature". In doing so, he sharpened the distinction between nature and miracles more than the early Church Fathers had done. As a result, he had created a dichotomy of sorts of the natural and supernatural. Though the phrase supra naturam was used since the 4th century AD, it was in the 1200s that Thomas Aquinas used the term "supernaturalis", however, this term had to wait until the end of the medieval period for it become more popularly used. The discussions on "nature" from the scholastic period were diverse and unsettled with some postulating that even miracles are natural and that natural magic was a natural part of the world. A deity (/ˈdiːəti/ ( listen) or /ˈdeɪ.əti/ ( listen)) is a supernatural being considered divine or sacred. The Oxford Dictionary of English defines deity as "a god or goddess (in a polytheistic religion)", or anything revered as divine. C. Scott Littleton defines a deity as "a being with powers greater than those of ordinary humans, but who interacts with humans, positively or negatively, in ways that carry humans to new levels of consciousness, beyond the grounded preoccupations of ordinary life." A male deity is a god, while a female deity is a goddess. Various cultures have conceptualized a deity differently than a monotheistic God. A deity need not be omnipotent, omnipresent, omniscient, omnibenevolent or eternal, The monotheistic God, however, does have these attributes. Monotheistic religions typically refer to God in masculine terms,:96 while other religions refer to their deities in a variety of ways – masculine, feminine, androgynous and gender neutral. Prophecy involves a process in which one or more messages are allegedly communicated by a god to a prophet. Such messages typically involve inspiration, interpretation, or revelation of divine will concerning the prophet's social world and events to come (compare divine knowledge). Prophecy is not limited to any one culture. It is a common property to all known ancient societies around the world, some more than others. Many systems and rules about prophecy have been proposed over several millennia. Some religions have religious texts which they view as divinely or supernaturally revealed or inspired. For instance, Orthodox Jews, Christians and Muslims believe that the Torah was received from Yahweh on biblical Mount Sinai. Most Christians believe that both the Old Testament and the New Testament were inspired by God. Muslims believe the Quran was revealed by God to Muhammad word by word through the angel Gabriel (Jibril). 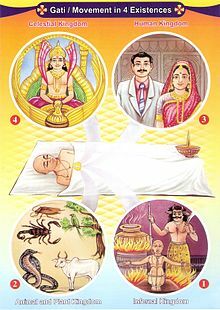 In Hinduism, some Vedas are considered apauruṣeya, "not human compositions", and are supposed to have been directly revealed, and thus are called śruti, "what is heard". The 15,000 handwritten pages produced by the mystic Maria Valtorta were represented as direct dictations from Jesus, while she attributed The Book of Azariah to her guardian angel. Aleister Crowley stated that The Book of the Law had been revealed to him through a higher being that called itself Aiwass. A revelation communicated by a supernatural entity reported as being present during the event is called a vision. Direct conversations between the recipient and the supernatural entity, or physical marks such as stigmata, have been reported. In rare cases, such as that of Saint Juan Diego, physical artifacts accompany the revelation. The Roman Catholic concept of interior locution includes just an inner voice heard by the recipient. In the Abrahamic religions, the term is used to refer to the process by which God reveals knowledge of himself, his will, and his divine providence to the world of human beings. In secondary usage, revelation refers to the resulting human knowledge about God, prophecy, and other divine things. Revelation from a supernatural source plays a less important role in some other religious traditions such as Buddhism, Confucianism and Taoism. Reincarnation is the philosophical or religious concept that an aspect of a living being starts a new life in a different physical body or form after each biological death. It is also called rebirth or transmigration, and is a part of the Saṃsāra doctrine of cyclic existence. It is a central tenet of all major Indian religions, namely Jainism, Hinduism, Buddhism, and Sikhism. The idea of reincarnation is found in many ancient cultures, and a belief in rebirth/metempsychosis was held by Greek historic figures, such as Pythagoras, Socrates, and Plato. It is also a common belief of various ancient and modern religions such as Spiritism, Theosophy, and Eckankar, and as an esoteric belief in many streams of Orthodox Judaism. It is found as well in many tribal societies around the world, in places such as Australia, East Asia, Siberia, and South America. Although the majority of denominations within Christianity and Islam do not believe that individuals reincarnate, particular groups within these religions do refer to reincarnation; these groups include the mainstream historical and contemporary followers of Cathars, Alawites, the Druze, and the Rosicrucians. The historical relations between these sects and the beliefs about reincarnation that were characteristic of Neoplatonism, Orphism, Hermeticism, Manicheanism, and Gnosticism of the Roman era as well as the Indian religions have been the subject of recent scholarly research. Unity Church and its founder Charles Fillmore teaches reincarnation. In recent decades, many Europeans and North Americans have developed an interest in reincarnation, and many contemporary works mention it. Karma (/ˈkɑːrmə/; Sanskrit: कर्म, translit. karma, IPA: [ˈkɐɽmɐ] ( listen); Pali: kamma) means action, work or deed; it also refers to the spiritual principle of cause and effect where intent and actions of an individual (cause) influence the future of that individual (effect). Good intent and good deeds contribute to good karma and future happiness, while bad intent and bad deeds contribute to bad karma and future suffering. With origins in ancient India's Vedic civilization, the philosophy of karma is closely associated with the idea of rebirth in many schools of Indian religions (particularly Hinduism, Buddhism, Jainism and Sikhism) as well as Taoism. In these schools, karma in the present affects one's future in the current life, as well as the nature and quality of future lives - one's saṃsāra. In Catholic theology, the supernatural order is, according to New Advent, defined as "the ensemble of effects exceeding the powers of the created universe and gratuitously produced by God for the purpose of raising the rational creature above its native sphere to a God-like life and destiny." The Modern Catholic Dictionary defines it as "the sum total of heavenly destiny and all the divinely established means of reaching that destiny, which surpass the mere powers and capacities of human nature." Process theology is a school of thought influenced by the metaphysical process philosophy of Alfred North Whitehead (1861–1947) and further developed by Charles Hartshorne (1897–2000). It is not possible, in process metaphysics, to conceive divine activity as a "supernatural" intervention into the "natural" order of events. Process theists usually regard the distinction between the supernatural and the natural as a by-product of the doctrine of creation ex nihilo. In process thought, there is no such thing as a realm of the natural in contrast to that which is supernatural. On the other hand, if "the natural" is defined more neutrally as "what is in the nature of things," then process metaphysics characterizes the natural as the creative activity of actual entities. In Whitehead's words, "It lies in the nature of things that the many enter into complex unity" (Whitehead 1978, 21). It is tempting to emphasize process theism's denial of the supernatural and thereby highlight that the processed God cannot do in comparison what the traditional God could do (that is, to bring something from nothing). In fairness, however, equal stress should be placed on process theism's denial of the natural (as traditionally conceived) so that one may highlight what the creatures cannot do, in traditional theism, in comparison to what they can do in process metaphysics (that is, to be part creators of the world with God). A spirit is a supernatural being, often but not exclusively a non-physical entity; such as a ghost, fairy, or angel. The concepts of a person's spirit and soul, often also overlap, as both are either contrasted with or given ontological priority over the body and both are believed to survive bodily death in some religions, and "spirit" can also have the sense of "ghost", i.e. a manifestation of the spirit of a deceased person. In English Bibles, "the Spirit" (with a capital "S"), specifically denotes the Holy Spirit. Spirit is often used metaphysically to refer to the consciousness or personality. Historically, it was also used to refer to a "subtle" as opposed to "gross" material substance, as in the famous last paragraph of Sir Isaac Newton's Principia Mathematica. A demon (from Koine Greek δαιμόνιον daimónion) is a supernatural and often malevolent being prevalent in religion, occultism, literature, fiction, mythology and folklore. In Ancient Near Eastern religions as well as in the Abrahamic traditions, including ancient and medieval Christian demonology, a demon is considered a harmful spiritual entity, below the heavenly planes which may cause demonic possession, calling for an exorcism. In Western occultism and Renaissance magic, which grew out of an amalgamation of Greco-Roman magic, Jewish Aggadah and Christian demonology, a demon is believed to be a spiritual entity that may be conjured and controlled. Magic or sorcery is the use of rituals, symbols, actions, gestures, or language with the aim of utilizing supernatural forces. :6–7:24 Belief in and practice of magic has been present since the earliest human cultures and continues to have an important spiritual, religious, and medicinal role in many cultures today. The term magic has a variety of meanings, and there is no widely agreed upon definition of what it is. Scholars of religion have defined magic in different ways. One approach, associated with the anthropologists Edward Tylor and James G. Frazer, suggests that magic and science are opposites. An alternative approach, associated with the sociologists Marcel Mauss and Emile Durkheim, argues that magic takes place in private, while religion is a communal and organised activity. Many scholars of religion have rejected the utility of the term magic and it has become increasingly unpopular within scholarship since the 1990s. The term magic comes from the Old Persian magu, a word that applied to a form of religious functionary about which little is known. During the late sixth and early fifth centuries BCE, this term was adopted into Ancient Greek, where it was used with negative connotations, to apply to religious rites that were regarded as fraudulent, unconventional, and dangerous. This meaning of the term was then adopted by Latin in the first century BCE. 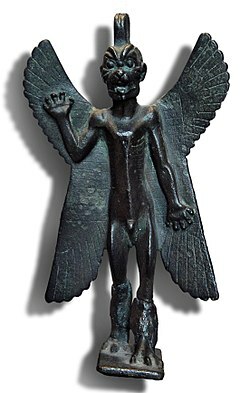 The concept was then incorporated into Christian theology during the first century CE, where magic was associated with demons and thus defined against religion. This concept was pervasive throughout the Middle Ages, although in the early modern period Italian humanists reinterpreted the term in a positive sense to establish the idea of natural magic. Both negative and positive understandings of the term were retained in Western culture over the following centuries, with the former largely influencing early academic usages of the word. Throughout history, there have been examples of individuals who practiced magic and referred to themselves as magicians. This trend has proliferated in the modern period, with a growing number of magicians appearing within the esoteric milieu. [not verified in body] British esotericist Aleister Crowley described magic as the art of effecting change in accordance with will. Divination (from Latin divinare "to foresee, to be inspired by a god", related to divinus, divine) is the attempt to gain insight into a question or situation by way of an occultic, standardized process or ritual. Used in various forms throughout history, diviners ascertain their interpretations of how a querent should proceed by reading signs, events, or omens, or through alleged contact with a supernatural agency. Divination can be seen as a systematic method with which to organize what appear to be disjointed, random facets of existence such that they provide insight into a problem at hand. If a distinction is to be made between divination and fortune-telling, divination has a more formal or ritualistic element and often contains a more social character, usually in a religious context, as seen in traditional African medicine. Fortune-telling, on the other hand, is a more everyday practice for personal purposes. Particular divination methods vary by culture and religion. Divination is dismissed by the scientific community and skeptics as being superstition. In the 2nd century, Lucian devoted a witty essay to the career of a charlatan, "Alexander the false prophet", trained by "one of those who advertise enchantments, miraculous incantations, charms for your love-affairs, visitations for your enemies, disclosures of buried treasure, and successions to estates", even though most Romans believed in prophetic dreams and charms. Witchcraft or witchery broadly means the practice of and belief in magical skills and abilities exercised by solitary practitioners and groups. Witchcraft is a broad term that varies culturally and societally, and thus can be difficult to define with precision, and cross-cultural assumptions about the meaning or significance of the term should be applied with caution. Witchcraft often occupies a religious divinatory or medicinal role, and is often present within societies and groups whose cultural framework includes a magical world view. A miracle is an event not explicable by natural or scientific laws. 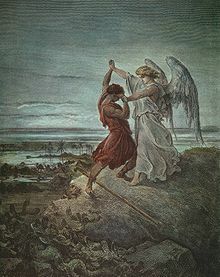 Such an event may be attributed to a supernatural being (a deity), magic, a miracle worker, a saint or a religious leader. Informally, the word "miracle" is often used to characterise any beneficial event that is statistically unlikely but not contrary to the laws of nature, such as surviving a natural disaster, or simply a "wonderful" occurrence, regardless of likelihood, such as a birth. Other such miracles might be: survival of an illness diagnosed as terminal, escaping a life-threatening situation or 'beating the odds'. Some coincidences may be seen as miracles. A true miracle would, by definition, be a non-natural phenomenon, leading many rational and scientific thinkers to dismiss them as physically impossible (that is, requiring violation of established laws of physics within their domain of validity) or impossible to confirm by their nature (because all possible physical mechanisms can never be ruled out). The former position is expressed for instance by Thomas Jefferson and the latter by David Hume. Theologians typically say that, with divine providence, God regularly works through nature yet, as a creator, is free to work without, above, or against it as well. 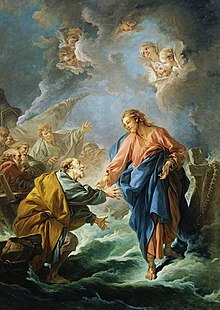 The possibility and probability of miracles are then equal to the possibility and probability of the existence of God. Skepticism (American English) or scepticism (British English; see spelling differences) is generally any questioning attitude or doubt towards one or more items of putative knowledge or belief. It is often directed at domains such as the supernatural, morality (moral skepticism), religion (skepticism about the existence of God), or knowledge (skepticism about the possibility of knowledge, or of certainty). Formally, skepticism as a topic occurs in the context of philosophy, particularly epistemology, although it can be applied to any topic such as politics, religion, and pseudoscience. One reason why skeptics assert that supernatural forces cannot exist is that anything can be described as "supernatural" and can be demonstrated to be a part of the natural world would have to be classified as be "natural." Although some believers in the supernatural insist that such forces cannot be demonstrated under scientific conditions, skeptics assert that the scientific method is the best tool humans have devised for knowing what is and isn't knowable. If the supernatural is inherently unknowable, then there is no reason to accept its reality. 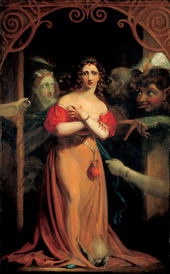 Supernatural entities and powers are common in various works of fantasy. Examples include the TV show Supernatural, the magic of the Harry Potter series, and the Force of Star Wars. Other depictions are taken from religious texts, such as the Book of Exodus. Look up supernatural in Wiktionary, the free dictionary. ^ Pasulka, Diana; Kripal, Jeffrey (23 November 2014). "Religion and the Paranormal". Oxford University Press blog. Oxford University Press. ^ Boyle, Robert; Stewart, M.A. (1991). Selected Philosophical Papers of Robert Boyle. HPC Classics Series. Hackett. pp. 176–177. ISBN 978-0-87220-122-4. LCCN 91025480. ^ Partridge, Kenneth (2009). The paranormal. ISBN 9780824210922. Retrieved July 26, 2010. ^ Winkelman, M.; et al. (February 1982). "Magic: A Theoretical Reassessment [and Comments and Replies]". Current Anthropology. 23 (1): 37–66. doi:10.1086/202778. JSTOR 274255. ^ Zhong Yang Yan Jiu Yuan; Min Tsu Hsüeh Yen Chiu So (1976). Bulletin of the Institute of Ethnology, Academia Sinica, Issues 42–44. ^ Ellis, B.J. ; Bjorklund, D.F. (2004). Origins of the Social Mind: Evolutionary Psychology and Child Development. Guilford Publications. p. 413. ISBN 9781593851033. LCCN 2004022693. ^ Saler, Benson (1977). "Supernatural as a Western Category". Ethos. 5: 31–53. doi:10.1525/eth.1977.5.1.02a00040. ^ a b c d e Bartlett, Robert (14 March 2008). "1. The Boundaries of the Supernatural". The Natural and the Supernatural in the Middle Ages. Cambridge University Press. pp. 1–34. ISBN 978-0521702553. ^ The American Heritage Book of English Usage: A Practical and Authoritative Guide to Contemporary English. Boston: Houghton Mifflin. 1996. p. 219. ISBN 978-0395767856. ^ O'Brien, Jodi (2009). Encyclopedia of Gender and Society. Los Angeles: SAGE. p. 191. ISBN 9781412909167. Retrieved June 28, 2017. ^ Stevenson, Angus (2010). Oxford Dictionary of English (3rd ed.). New York: Oxford University Press. p. 461. ISBN 9780199571123. Retrieved June 28, 2017. ^ Littleton], C. Scott (2005). Gods, Goddesses, and Mythology. New York: Marshall Cavendish. p. 378. ISBN 9780761475590. Retrieved June 28, 2017. ^ Korte, Anne-Marie; Haardt, Maaike De (2009). The Boundaries of Monotheism: Interdisciplinary Explorations Into the Foundations of Western Monotheism. BRILL. p. 9. ISBN 978-9004173163. Retrieved June 28, 2017. ^ Brown, Jeannine K. (2007). Scripture as Communication: Introducing Biblical Hermeneutics. Baker Academic. p. 72. ISBN 9780801027888. Retrieved June 28, 2017. ^ Taliaferro, Charles; Harrison, Victoria S.; Goetz, Stewart (2012). The Routledge Companion to Theism. Routledge. pp. 78–79. ISBN 9781136338236. Retrieved June 28, 2017. ^ Reat, N. Ross; Perry, Edmund F. (1991). A World Theology: The Central Spiritual Reality of Humankind. Cambridge University Press. pp. 73–75. ISBN 9780521331593. Retrieved June 28, 2017. ^ a b Keown, Damien (2013). Buddhism: A Very Short Introduction (New ed.). Oxford: Oxford University Press. ISBN 9780199663835. Retrieved June 22, 2017. ^ a b Bullivant, Stephen; Ruse, Michael (2013). The Oxford Handbook of Atheism. Oxford University Publishing. ISBN 9780199644650. Retrieved June 22, 2017. ^ John Murdoch, English Translations of Select Tracts, Published in India - Religious Texts at Google Books, pages 141-142; Quote: "We [monotheists] find by reason and revelation that God is omniscient, omnipotent, most holy, etc, but the Hindu deities possess none of those attributes. It is mentioned in their Shastras that their deities were all vanquished by the Asurs, while they fought in the heavens, and for fear of whom they left their abodes. This plainly shows that they are not omnipotent." ^ Taliaferro, Charles; Marty, Elsa J. (2010). A Dictionary of Philosophy of Religion. New York: Continuum. pp. 98–99. ISBN 9781441111975. ^ Wilkerson, W.D. (2014). Walking With The Gods. Sankofa. pp. 6–7. ISBN 978-0991530014. ^ Trigger, Bruce G. (2003). Understanding Early Civilizations: A Comparative Study (1st ed.). Cambridge: Cambridge University Press. pp. 473–474. ISBN 9780521822459. ^ Kramarae, Cheris; Spender, Dale (2004). Routledge International Encyclopedia of Women: Global Women's Issues and Knowledge. Routledge. p. 655. ISBN 9781135963156. Retrieved June 28, 2017. ^ O'Brien, Julia M. (2014). Oxford Encyclopedia of the Bible and Gender Studies. Oxford University Press, Incorporated. ISBN 9780199836994. Retrieved June 22, 2017. ^ Bonnefoy, Yves (1992). Roman and European Mythologies. Chicago: University of Chicago Press. pp. 274–275. ISBN 9780226064550. Retrieved June 28, 2017. ^ Pintchman, Tracy (2014). Seeking Mahadevi: Constructing the Identities of the Hindu Great Goddess. SUNY Press. pp. 1–2, 19–20. ISBN 9780791490495. Retrieved June 28, 2017. ^ Roberts, Nathaniel (2016). To Be Cared For: The Power of Conversion and Foreignness of Belonging in an Indian Slum. University of California Press. p. xv. ISBN 9780520963634. Retrieved June 28, 2017. ^ a b Malandra, William W. (1983). An Introduction to Ancient Iranian Religion: Readings from the Avesta and the Achaemenid Inscriptions. Minneapolis, Minnesota: University of Minnesota Press. pp. 9–10. ISBN 978-0816611157. Retrieved June 28, 2017. ^ a b Fløistad, Guttorm (2010). Volume 10: Philosophy of Religion (1st ed.). Dordrecht: Springer Science & Business Media B.V. pp. 19–20. ISBN 9789048135271. Retrieved June 28, 2017. ^ Daniel T. Potts (1997). Mesopotamian Civilization: The Material Foundations. Cornell University Press. pp. 186–187. ISBN 978-0-8014-3339-9. ^ Potter, Karl H. (2014). The Encyclopedia of Indian Philosophies, Volume 3: Advaita Vedanta up to Samkara and His Pupils. Princeton University Press. pp. 272–274. ISBN 9781400856510. Retrieved June 28, 2017. ^ Olivelle, Patrick (2006). The Samnyasa Upanisads: Hindu Scriptures on Asceticism and Renunciation. New York: Oxford University Press. p. 47. ISBN 9780195361377. Retrieved June 28, 2017. ^ Cush, Denise; Robinson, Catherine; York, Michael (2008). Encyclopedia of Hinduism. London: Routledge. pp. 899–900. ISBN 9781135189792. Retrieved June 28, 2017. ^ "Definition of ANGEL". www.merriam-webster.com. Retrieved 2016-05-02. 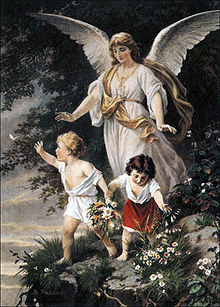 ^ "ANGELOLOGY - JewishEncyclopedia.com". jewishencyclopedia.com. Retrieved 2016-05-02. ^ Proverbio(2007), pp. 90-95; cf. review in La Civiltà Cattolica, 3795-3796 (2–16 August 2008), pp. 327-328. ^ Esposito, John L. What Everyone Needs to Know about Islam (New York: Oxford University Press, 2002), pp. 7–8. ^ "Revelation | Define Revelation at Dictionary.com". Dictionary.reference.com. Retrieved 2013-07-14. ^ Norman C. McClelland 2010, pp. 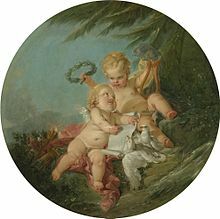 24–29, 171. ^ a b Mark Juergensmeyer & Wade Clark Roof 2011, pp. 271–272. ^ Stephen J. Laumakis 2008, pp. 90–99. ^ Rita M. Gross (1993). Buddhism After Patriarchy: A Feminist History, Analysis, and Reconstruction of Buddhism. State University of New York Press. p. 148. ISBN 978-1-4384-0513-1. ^ Gananath Obeyesekere, Imagining Karma: Ethical Transformation in Amerindian, Buddhist, and Greek Rebirth. University of California Press, 2002, page 15. Encyclopædia Britannica, 11th Edition, Volume 15, New York, pp 679-680, Article on Karma; Quote - "Karma meaning deed or action; in addition, it also has philosophical and technical meaning, denoting a person's deeds as determining his future lot." The Encyclopedia of World Religions, Robert Ellwood & Gregory Alles, ISBN 978-0-8160-6141-9, pp 253; Quote - "Karma: Sanskrit word meaning action and the consequences of action." Hans Torwesten (1994), Vedanta: Heart of Hinduism, ISBN 978-0802132628, Grove Press New York, pp 97; Quote - "In the Vedas the word karma (work, deed or action, and its resulting effect) referred mainly to..."
^ Parvesh Singla. The Manual of Life – Karma. Parvesh singla. pp. 5–7. GGKEY:0XFSARN29ZZ. Retrieved 4 June 2011. ^ "Karma" in: John Bowker (1997), The Concise Oxford Dictionary of World Religions, Oxford University Press. ^ Pastrovicchi, Angelo (1918). Rev. Francis S. Laing (ed.). St. Joseph of Copertino. St. Louis: B.Herder. p. iv. ISBN 978-0-89555-135-1. ^ Sollier, J. "Supernatural Order". Robert Appleton Company. Retrieved 2008-09-11. ^ Hardon, Fr. John. "Supernatural Order". Eternal Life. Retrieved 2008-09-15. ^ Viney, Donald (2008). Edward N. Zalta (ed.). "Process Theism". The Stanford Encyclopedia of Philosophy (Winter 2008 ed.). ^ OED "spirit 2.a. : The soul of a person, as commended to God, or passing out of the body, in the moment of death." ^ Burtt, Edwin A. (2003). Metaphysical Foundations of Modern Physical Science. Mineola, New York: Dover Publications, Inc. p. 275. ^ Hutton, Ronald (1995). The Pagan Religions of the Ancient British Isles: Their Nature and Legacy (Reprint ed.). Oxford; Cambridge: Blackwell. pp. 289–291, 335. ISBN 978-0631189466. ^ Tambiah, Stanley Jeyaraja (1991). Magic, Science, Religion, and the Scope of Rationality (Reprint ed.). Cambridge: Cambridge University Press. ISBN 978-0521376310. ^ Hanegraaff, Wouter J. (2006). Dictionary of Gnosis & Western Esotericism (Unabridged ed.). Leiden: Brill. p. 718. ISBN 978-9004152311. ^ Mauss, Marcel; Bain, Robert; Pocock, D. F. (2007). A General Theory of Magic (Reprint ed.). London: Routledge. ISBN 978-0415253963. ^ "LacusCurtius • Greek and Roman Divination (Smith's Dictionary, 1875)". uchicago.edu. ^ Silva, Sónia (2016). "Object and Objectivity in Divination". Material Religion. 12 (4): 507–509. doi:10.1080/17432200.2016.1227638. ISSN 1743-2200. ^ "Lucian of Samosata : Alexander the False Prophet". tertullian.org. ^ a b Witchcraft in the Middle Ages, Jeffrey Russell, p.4-10. ^ Halbersam, Yitta (1890). Small Miracles. Adams Media Corp. ISBN 978-1-55850-646-6. ^ Popkin, R. H. The History of Skepticism from Erasmus to Descartes (rev. ed. 1968); C. L. Stough, Greek Skepticism (1969); M. Burnyeat, ed., The Skeptical Tradition (1983); B. Stroud, The Significance of Philosophical Skepticism (1984). Encyclopedia2.thefreedictionary.com. ^ Greco, John (2008). The Oxford Handbook of Skepticism. Oxford University Press, US. ISBN 9780195183214. ^ Novella, Steven, et al. The Skeptics' Guide to the Universe: How to Know What's Really Real in a World Increasingly Full of Fake. Grand Central Publishing, 2018. pp. 145-146. Bouvet R, Bonnefon J. F. (2015). "Non-Reflective Thinkers Are Predisposed to Attribute Supernatural Causation to Uncanny Experiences". Personality and Social Psychology Bulletin. 41 (7): 955–61. doi:10.1177/0146167215585728. PMID 25948700. McNamara P, Bulkeley K (2015). "Dreams as a Source of Supernatural Agent Concepts". Frontiers in Psychology. 6: 283. doi:10.3389/fpsyg.2015.00283. PMC 4365543. PMID 25852602. Purzycki Benjamin G (2013). "The Minds of Gods: A Comparative Study of Supernatural Agency". Cognition. 129 (1): 163–179. doi:10.1016/j.cognition.2013.06.010. PMID 23891826. Thomson P, Jaque S. V. (2014). "Unresolved Mourning, Supernatural Beliefs and Dissociation: A Mediation Analysis". Attachment and Human Development. 16 (5): 499–514. doi:10.1080/14616734.2014.926945. PMID 24913392.